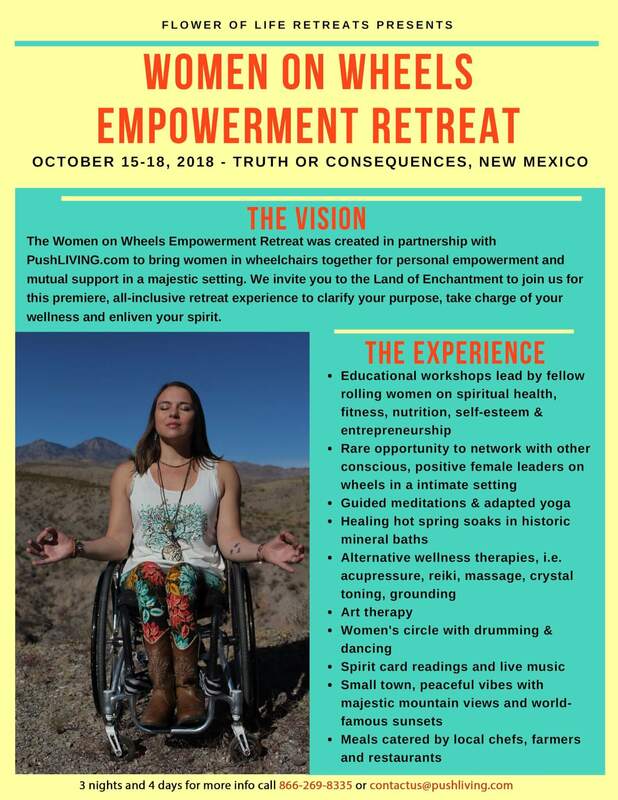 We’re looking forward to our first retreat in October – the Women on Wheels Empowerment Retreat, created in partnership with Push Living and Flower of Life Resorts. Over three days, attendees will experience educational workshops, adaptive yoga, massage, Hot Water Springs, reiki and other alternative wellness therapies, a self-defense and art class, live music, a drum circle, traditional New Mexican cuisine and so much more. And, just wait ’til you see the sunsets. Thanks to all the awesome ladies that have already booked! Space is limited, so be sure to reserve your spot if you’re interested! $1250 Includes accessible transport from Albuquerque airport (airfare not included), hotel accommodation for 3 nights, fabulous local cuisine, all activities and workshop sessions. 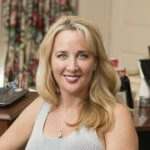 Hey Buddy!, I found this information for you: "Women On Wheels Empowerment Retreat – Truth or Consequences, New Mexico". 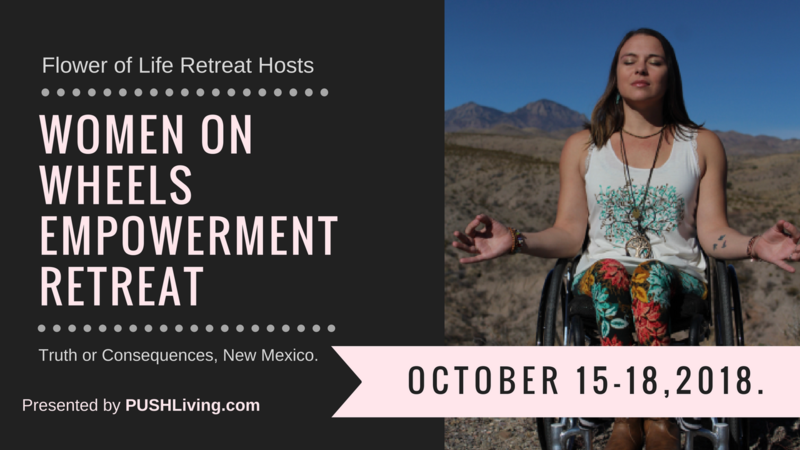 Here is the website link: https://pushliving.com/women-on-wheels-empowerment-retreat/. Thank you.